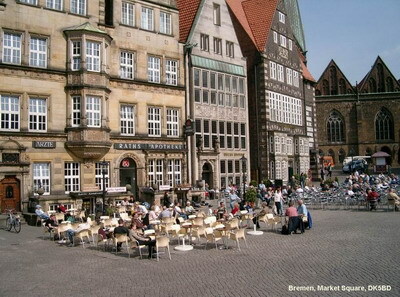 The Market Place is in the center of Bremen. 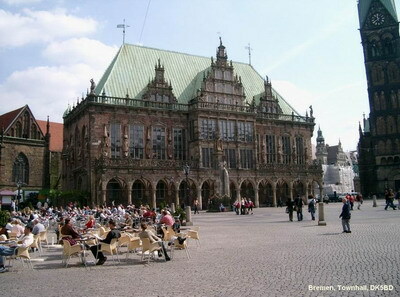 The Town Hall is very old and beautiful. In summertime people can enjoy a cup of coffee or an ice cream sitting outside.